27th December 2010, Plugins Language Switcher version 1.2 is published and available for downloads. 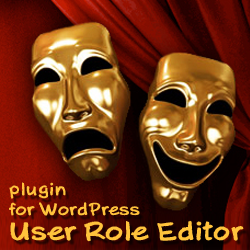 The main change is that plugin is multi-user now. Every user with administrator privileges can select its own language to work with plugins. Uninstall function is added. Plugin deletes its data from the WordPress database automatically when you delete it via WordPress ‘Delete’ link in the ‘Plugins’ submenu. Plugin is tested with WordPress versions 3.0.3 and 3.1. Check this post to read more about this plugin or get the download link. This entry was posted on Monday, December 27th, 2010 at 11:11	and is filed under ShinePHP plugins news, WordPress. You can follow any responses to this entry through the RSS 2.0 feed. You can skip to the end and leave a response. Pinging is currently not allowed.